I was recently interviewed by an author who is compiling data for a website on entrepreneurs. I thought I’d share the questions and answers with my website visitors, some of whom I know aspire to be freelance copywriters like me. Susan Greene is a freelance copywriter based in Orlando, Florida. 1. What’s the name of your business? The legal name of the business is Greene Marketing, LLC, and the company was founded in 1994. Many of my clients think of me though as a freelance copywriter and assume my business name is “Susan Greene.” Either one works for me. 2. Where is your business located? 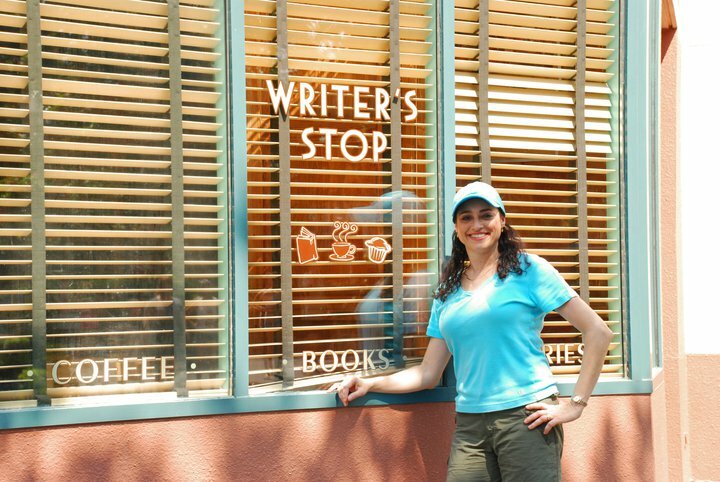 I operate my copywriting business out of an office in my home in Orlando, Florida. I’ve done the downtown office thing and prefer working in my house. I can see my kids when they get home from school. I don’t pay rent. I get some tax breaks for having a home office. I save on gas. Can’t beat the commute. And I can walk around in shorts and a t-shirt all day long. Love it! 3. Tell me about your current business. What are you doing exactly? My business is copywriting. However, the types of copywriting I’m doing have definitely changed in the past few years. In the beginning, I dulled my pencils writing print copy — brochures, press releases, even annual reports. But in the past decade, web copy has been my focus, one determined not so much by me, but by demand. Every company needs web content — websites, ezines, online articles, e-newsletters, blogs, PPC ads, etc. The internet is the best thing to ever happen to copywriters since the invention of the word processor! 4. How did you get started in the freelance copywriting business, and how did your career progress? I’ve been writing my whole career. I’m one of those people who knew right away what I was meant to do in life – write. My love affair with words started as soon as I learned to read at about age 6. By the time I was a teenager, I kept a daily journal, had about a dozen penpals from around the world, and wrote poetry for fun. In high school I obtained my first real job. It was with “The Miami Herald,” the daily newspaper in Miami, Florida, and my job was helping consumer customers write their classified ads over the phone. During summers at college, I interned at a Miami TV station, the NBC affiliate, working in the News Department as an assistant to reporters doing research and some copywriting. After I graduated college, my first real job was with an ad agency in Manchester, New Hampshire. I started out as an account coordinator and then moved up to a copywriting position. After three years at that ad agency, I decided to strike out on my own and opened a communications company, writing and producing corporate videos. Since then, I’ve had a couple of different companies, all related to copywriting in some form. 5. What do you like most about being a freelance copywriter? The best thing about being a freelance copywriter is the variety. By working with so many different clients, I’m continually learning about new products, new businesses, new technologies, new concepts, and more. I’ve become quite a generalist, although my husband claims I know just enough about most topics to be dangerous. My main competitors are other freelance copywriters. Because of the internet, I no longer compete only with other local writers but also with copywriters nationwide and even worldwide. On the other hand, I too, am able to compete for projects outside of my immediate area. 7. How do you compete against other freelance copywriters? I’ve long since given up trying to compete on price. Someone is always willing to undercut you. Instead, I’ve tried to differentiate myself. Back in the 90’s I billed myself as a technology copywriter, able to write about complex industrial and high-tech subjects that most other writers avoided. These days I promote myself as a marketing copywriter. I help companies sell their products or services with compelling copy. I specialize in writing websites. I like the friendly, conversational style of website copywriting. Additionally, I am an SEO (search engine optimization) expert and can help a client’s website rise to the top of search engine rankings. 8. What type of copywriting do you do most? These days it’s all about writing content for the web, whether it be websites, ezines, blogs, articles, or e-newsletters. Print copywriting, such as brochures, direct mailers and press releases is a smaller part of my business but still has a place in a strong marketing mix. The one common element no matter what I’m writing is to help convert readers into leads or customers. That’s what good copywriting is all about. 9. You’ve been a professional copywriter for many years. What has experience taught you? Like many people, I was a bit naive in the beginning. I trusted everyone, and I got burned a few times by clients who either didn’t pay their bills or took advantage of my time. Over the years I’ve developed more confidence in my skills. I now am more selective in the clients with whom I work, and I don’t hesitate to charge what I’m worth. I’ve also become better at estimating how long a project will take and become more efficient in getting jobs done. I think, too, I’ve developed a thicker skin. There were times when a critical comment from a client would upset me greatly. If the criticism is justified, I do whatever I can to remedy the problem. However, I now know that some people are impossible to please, and some folks are simply misguided as well. Sometimes you just have to walk away knowing you did your best, put it out of your mind, and go on to the next project. 10. Is there anything you wish you had done differently? Not really, it’s been a constant learning process, and an adventure-filled ride. If there were one thing I could change, it would have to be that the Internet had been invented sooner. It has truly altered everything for the better. I no longer have to cold call for new clients, as they all find me via my website. There’s an abundance of available work, as everyone needs content for their website. And finally, I enjoy writing web copy more than the print copywriting that I was doing when I started my career. 11. What have you done that has been very effective in helping to grow the business? By far the single strategy that has most impacted the growth of my business was building my website, www.SusanGreeneCopywriter.com. Within about two months of launch back in 1998, I suddenly had a steady stream of new business coming in the door courtesy of the traffic delivered by the search engines. Over the years that stream has become a river, bringing in more business than I can handle. It’s allowed me to cherry pick my clients and also to set up a referral service in which I farm out leads to colleagues and other vendors for a finder’s fee. That service has become a nice source of passive revenue for me. 12. What advice would you give to somebody else who wanted to start a similar business? Learn to write for the web. That’s where the money is. Practice writing conversationally. Become an expert in SEO (search engine optimization). Explore social networking and blogging. Stay up on all the latest marketing techniques and trends on the web. 13. Just to make sure I’ve got it right, can you state your name, title, specialty and web site address. My name is Susan Greene, and the title I go by is freelance copywriter. The formal name of my business Greene Marketing, LLC. I specialize in writing websites and other types of marketing materials both online and offline. I am based in Orlando, Florida but work with clients all over the world. My website is www.SusanGreeneCopywriter.com. 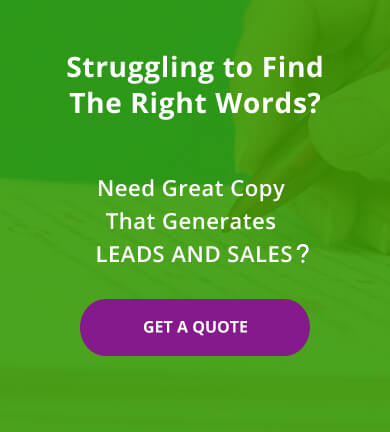 Need help writing copy for your website or some other marketing project? Contact Susan Greene today!